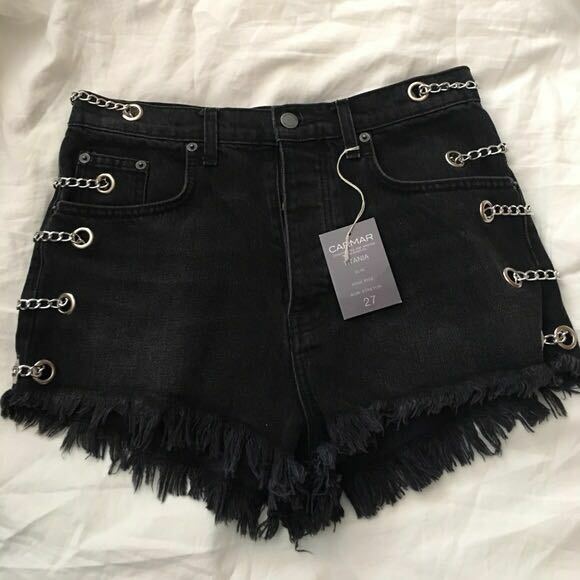 These jean shorts are so cute. I bought them for Coachella but they have no stretch so I decided they wouldn’t be comfortable for the whole day. I’m a true 27”. They’ve been worn once and washed.